The Intro to Data Science instructor’s enthusiasm and ability to explain complex topics made this a great introduction to the fundamentals of data science and Python programming. This course helped prep me for the Metis data science bootcamp, and I'd highly recommend it to anyone looking to gain a better understanding of concepts taught throughout the bootcamp. You have a strong desire to learn data science through top-quality instruction, a basic understanding of data analysis techniques and an interest in improving their ability to tackle data-rich problems in a systematic, principled way. This course provides structure and accountability to ensure you stay on track, finish strong, and achieve your desired outcomes. An understanding of problems solvable with data science and an ability to attack them from a statistical perspective. An understanding of when to use supervised and unsupervised statistical learning methods on labeled and unlabeled data-rich problems. The ability to create data analytical pipelines and applications in Python. Familiarity with the Python data science ecosystem and the various tools needed to continue developing as a data scientist. 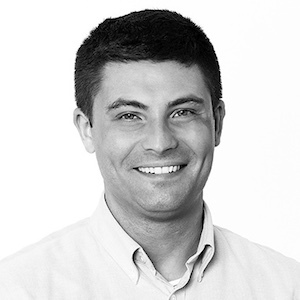 Sergey Fogelson is the Vice President of Analytics and Measurement Sciences at Viacom. He began his career as an academic at Dartmouth College in Hanover, New Hampshire, where he researched the neural bases of visual category learning and obtained his Ph.D. in Cognitive Neuroscience. After leaving academia, Sergey got into the rapidly growing startup scene in the NYC metro area, where he has worked as a data scientist in alternative energy analytics, digital advertising, cybersecurity, finance, and media. He is heavily involved in the NYC-area teaching community and has taught courses at various bootcamps, and has been a volunteer teacher in computer science through TEALSK12. When Sergey is not working or teaching, he is probably hiking. (He thru-hiked the Appalachian trail before graduate school). Students should have some familiarity with basic statistical and linear algebraic concepts such as mean, median, mode, standard deviation, correlation, and the difference between a vector and a matrix. Additionally, Python is a requirement for the course. In Python, it will be helpful to know basic data structures such as lists, tuples, and dictionaries, and what distinguishes them (that is, when they should be used). Python v3 is currently used in the course. Exercises 1-7, 13, 18-21, 27-35, 38,39 of Learn Python The Hard Way. Videos 1-6 of Linear Algebra review from Andrew Ng’s Machine Learning course (labeled as: III. Linear Algebra Review (Week 1, Optional). The exercises in Chapters 2 and 3 of OpenIntro Statistics. Students must have a Github account to get access to the content. Sign-up for an account on their site is free, fast and easy. Considering our immersive data science bootcamp? Professional development alumni can apply the amount of tuition paid for one part-time course towards enrollment in an upcoming bootcamp upon admittance. We start with the basics. For CS, we briefly cover basic data structures/types, program control flow, and syntax in Python. For statistics, we go over basic probability and probability distributions, along with general properties of some common distributions. For linear algebra, we cover matrices, vectors, and some of their properties and how to use them in Python. We learn about the two basic kinds of statistical models, which have classically been used for prediction (supervised learning): Linear Regression and Logistic Regression. We also look at clustering using K-Means, one of the ways you can glean information from unlabeled data. We switch gears from talking about algorithms to talk about features. What are they? How do we engineer them? And what can be done (Principal Component Analysis/Independent Component Analysis, regularization) to create and use them given the data at hand? We also cover how to construct complete data pipelines, going from data ingestion and preprocessing to model construction and evaluation. We delve into more advanced supervised learning approaches and get a feel for linear support vector machines, decision trees, and random forest models for regression and classification. We also explore DBSCAN, an additional unsupervised learning approach. We explore more sophisticated model evaluation approaches (cross-validation and bootstrapping) with the goal of understanding how we can make our models as generalizable as possible. Students complete data science projects and share learnings and discoveries. Learn from world-class data science practitioners. Our Live Online instructors bring deep industry experience from a broad range of industries and companies including Viacom, Spotify, and Capital One Labs. You’ll have an Instructor and Assistant Instructor to support you throughout your learning process. Interact with instructors and classmates in real-time. This course is truly live, which means you can interact with the instructors and your fellow students in real-time. Stay engaged by asking questions and participating in polls and conversations, and join your course Slack channel for additional support, communication, and collaboration. Learn online without sacrificing the value of live instruction. The world is your classroom. Log in from wherever you are and gain access to live, interactive data science instruction that will push your career further in the right direction. In case you have to miss a class, you can access all recordings 24/7 to stay caught up and refer back. Earn CEUs for accredited courses. Not only will you walk away with new data science skills and knowledge, you’ll also earn up to 3.3 Continuing Education Units (CEUs). Our courses are accredited by ACCET, who requires we maintain high standards in areas such as quality of instruction and positive student feedback. Our 1-hour on-demand sample class is a great way to preview what the Live Online experience is like. * By submitting this form you allow Metis to send you awesome updates on events, content, courses & more! For this course, do I need to know Python. If so, how much Python do I need to know to take this course? What version of python is used? Python is a requirement for the course. In Python, it will be helpful to know basic data structures such as lists, tuples, and dictionaries, and what distinguishes them (that is, when they should be used). Python v3 is currently used in the course. How much do part-time courses at Metis cost? Live online professional development courses cost $750. Can I apply tuition from my part-time course to the bootcamp? Yes! Part-time alumni can apply the amount of tuition paid for one part-time course toward enrollment in an upcoming bootcamp upon admittance. Do I receive pass/fail grades on completion of a part-time course? No, you receive a certificate of completion stating that you completed up to 36 hours of the course, accredited by ACCET (Accrediting Council for Continuing Education and Training). Hours vary by course. How much homework is required outside of class time? While there is no official homework, you can expect to spend a minimum of 3 hours per week reviewing material or working on projects. The non-class time spent will depend on your background and the course itself. Each instructor will address this on the first day of class, and there will be lab/office hours outside of class during which students and the instructor can collaborate. Will we work on any projects? What are some examples of projects students have completed in the past? Students work on a final project in this course. Here is an example project, which analyzes the likelihood of pets getting adopted in shelters, and here’s another example about predicting star ratings on Yelp. Do I get career support if I take a part-time course? No. We do not offer career support for students of these courses like we do for our bootcamp students, but you will gain access to our alumni community network of 500+ data scientists. Networking events and job opportunities are posted on a regular basis in this active digital community. Who are the instructors for the part-time courses? Are they bootcamp instructors? What are their backgrounds? Our part-time course instructors come to teach at Metis from industry and are not bootcamp instructors. Please visit the respective course pages for specific information on each instructor’s background and current jobs. How often do Metis part-time courses meet? Our part-time courses typically run two nights per week over the course of 6 weeks, totaling 36 hours of instruction, but this can vary. Please see the full schedule here for the most up-to-date information. We consistently add new courses, so be sure to check back routinely. Does Metis offer any part-time courses online? Yes, we currently offer a rotating selection of our part-time professional development courses in a Live Online format, meaning once registered, you can login from anywhere to learn. What are the benefits of taking a course in a Live Online format? The beauty of the Live Online format is that you’re taught by our industry-leading instructors live, but you can attend class sessions from literally anywhere you have an internet connection. Unlike some other online course options out there, which might consist of pre-recorded lectures, our courses allow for interaction with the instructor, teaching assistants, and other students – and because these are on a set schedule, you’ll be held accountable to actually attend, do the work, and learn the material (which is what you’re really here for anyway!). I took a Metis part-time course and now want to apply for the bootcamp. Does that give me a competitive edge? It does not, simply because we evaluate each and every bootcamp applicant the same way in order to ensure fairness. However, if accepted into the bootcamp, you do have the advantage of applying the amount of one part-time course tuition toward the bootcamp tuition, so you essentially got your part-time course for free. How will I receive access to the curriculum? The curriculum will be provided via Github; therefore, you must register a Github account. Sign-up for an account on their site is free, fast and easy. Github is a web-based hosting service for version control using Git.